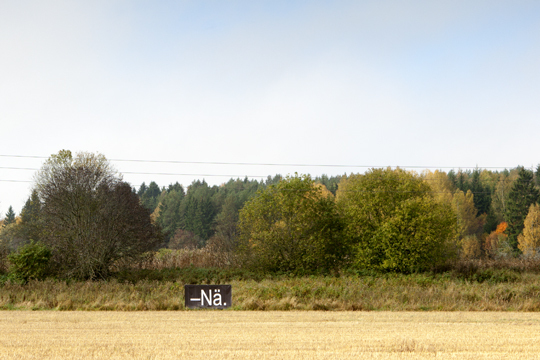 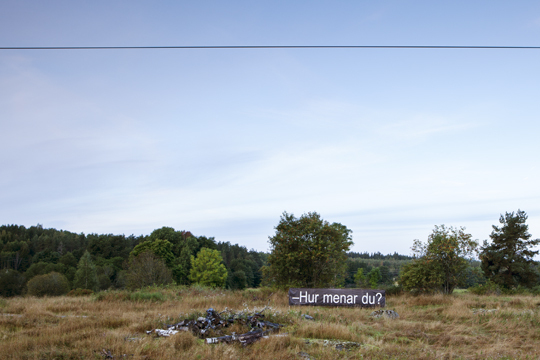 The large scale installation Tågteve was displayed along the railway between Stockholm and Uppsala (Sweden) in the summer of 2012. 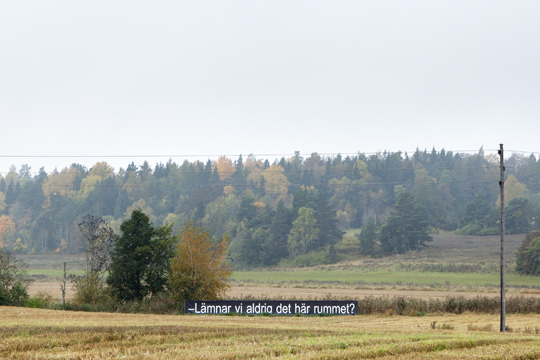 Via 28 large subtitle signs, the passenger was able to follow a dialogue about travelling and reality as a film. 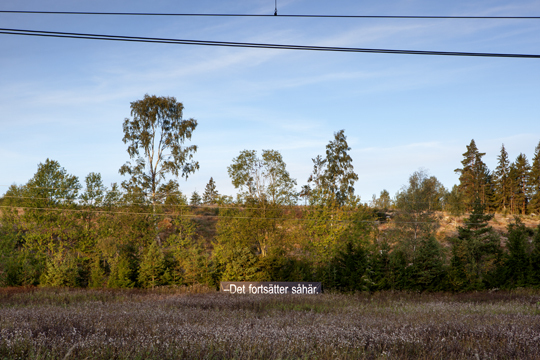 The installation was made possible with kind support from Konstfrämjandet, Knivsta municipality, Kulturbryggan, Uppsala municipality and Uppsala County.